Following a successful introduction of Campina dairy with the “On the way to PlanetProof” quality mark in December 2018, FrieslandCampina now makes the step towards cheese. 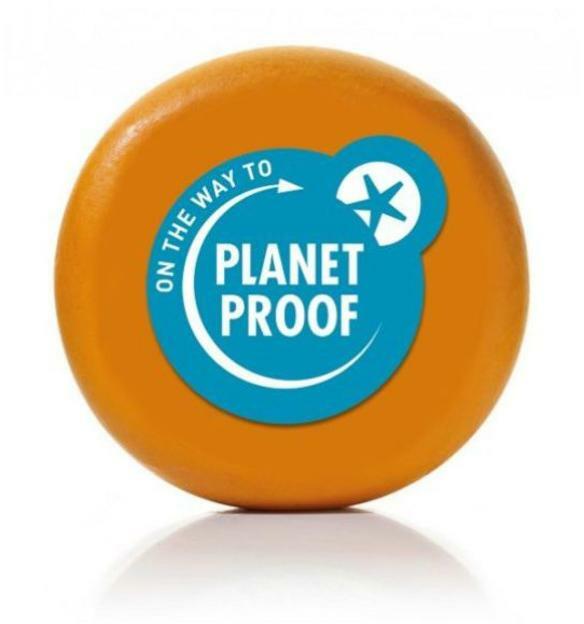 Milner is the first Dutch cheese brand that will be sold under the “PlanetProof” quality mark. With this quality mark the cheese meets the high, over and above statutory requirements that the Stichting Milieukeur makes in the areas of animal welfare, nature and climate. Bas Roelofs, Managing Director Consumer Dairy Netherlands at FrieslandCampina: “FrieslandCampina wants to be leading with sustainability. We want to accelerate. And that is what we are doing now. Following the introduction of more sustainable PlanetProof milk of Campina, we will quickly start producing PlanetProof cheese. The production of Milner PlanetProof cheese will start this week. Dairy farmers and dairy company FrieslandCampina are working together on improving animal welfare, nature and climate. This includes with respect to cows massage brushes, own bedding and outdoor grazing. The high demands that the dairy farmers have to comply with are regularly reconsidered and refined where necessary. In connection with nature, this may imply more space for flowers and insects. For the climate this means use of sustainable energy and reduced CO2 emissions.